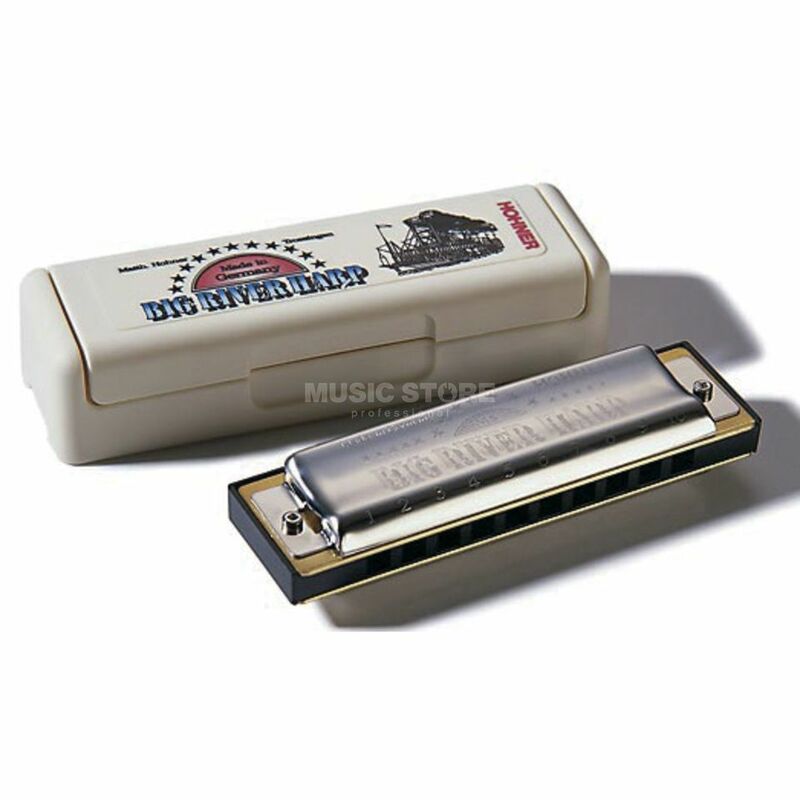 The Hohner Big River Harp D MS 20-Tone Harmonica is a diatonic harmonica in the key of ‘D’, offering a rich, bluesy tone; this is an ideal harmonica for beginners. The abbreviation "MS" stands for Modular System, an integrated concept in harmonica design. All individual MS parts (combs, reed plates and covers) can be combined and integrated with any of the MS harmonicas. Customize your harp with features that matter to you. Simple screw connections allow for easy assembly. Screws also allow for easy access to the reed plates, giving the player the ability to adjust the instrument to their own personal requirements.